The Royal Thai Navy's flagship, HTMS Chakri Nareubet (911), arrived in Singapore waters off Changi this afternoon around 1430 Hotel. 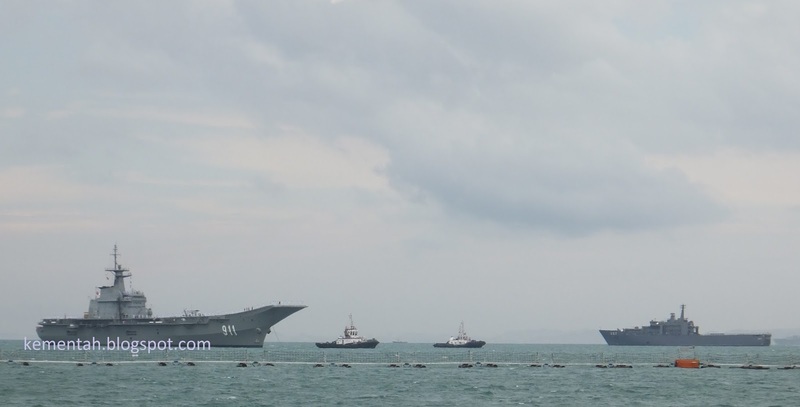 In doing so, the RTN and Japan Maritime Self Defense Force made history: The occasion marked the first time that two aircraft carriers from Asian countries are in Singapore at the same time. Alongside Berth 4 at the Republic of Singapore Navy's Changi Naval Base, the JMSDF ship Izumo (DDH183) arrived on Friday afternoon around 1500H. Both carriers are here for the RSN's 50th anniversary celebrations and the International Maritime Review. HTMS Chakri Nareubet is seen below framed by Izumo's bow. The Thai navy's flagship was smartly presented as she sailed into CNB. Her crew manned the rails in their dress whites and part of her helicopter air group was visible on deck. 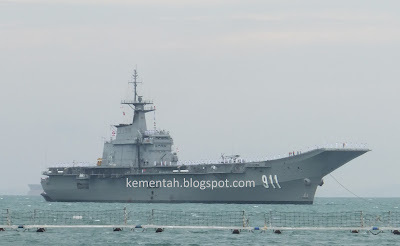 HTMS Chakri Nareubet (911) meets RSS Endurance (207) off Changi Naval Base. Which is why I have a smiley at the end. 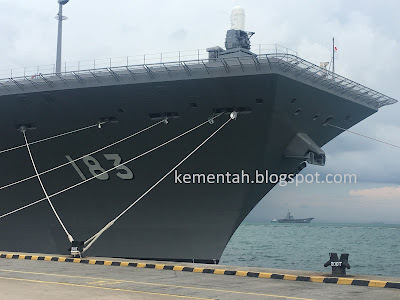 But is there any literature in English about such a flattop carrying so many ASW helicopters will be employed or what is about the Japanese ASW doctrine that will call for such a vessel.